When Did We Stop Completing Games? I run PixelBedlam in my spare time, since I got a promotion in my day job a year or so back my spare time has become smaller and smaller and as such, more important to me. Once I get home, have made dinner and have sorted out lunch for the next day I realistically only have a couple of hours to see me through the evening. Take into account the fact I need to sleep at some point and you can see why I may need some cheese to go with this whine. It’s a common issue, and for anyone with a hobby, be it gaming or otherwise, fitting it in around your day-to-day life can be tough. Recently I had a look on my Vita at my trophies, a feature has been added that lets you know the rarity of trophies, e.g. of the number of people who have started this game on their system, how many, as a percentage, have achieved this trophy. The reason this data is so fascinating is that a number of Trophies are not optional, so when you complete a level or chapter of a game, you are forced to receive the relevant Trophy. Obviously there is some room for error in terms of people who aren’t connected to the internet to update Trophy servers. But on the whole this shows a trend, and that trend is something fascinating and worrying; completing games is no longer the ‘done thing’. Piles of shame are the product, the symptom if you will, it’s not the cause of the issue or illness. I realised 18 months ago that my pile of shame was getting out of control. I have always had a habit of getting distracted by the next game that came along, but thankfully I also have an oddly obsessive nature to finish a game, just maybe not within a year of its release. I have standards however, there are some games that I’ll give 5 hours of my life, but if I’m not enjoying it, I rarely won’t push it any further. For me the way to break this habit of not finishing games was to concentrate, not just on gaming itself, but actually to pick a series. I’m a collector, I love having games, even if I’m not necessarily going to play them, it could be said I waste my money, but on the most part I’m smart with my purchases and know what good value is. Putting these two things together, collecting and concentrating, has set me on an annual path that is doing my gaming good: I pick a series and run with it. Last year I managed to play through all of the Mass Effect series on my Xbox 360 and Metal Gear Solid 1,2,3,4 and Rising on my Vita and PS3. 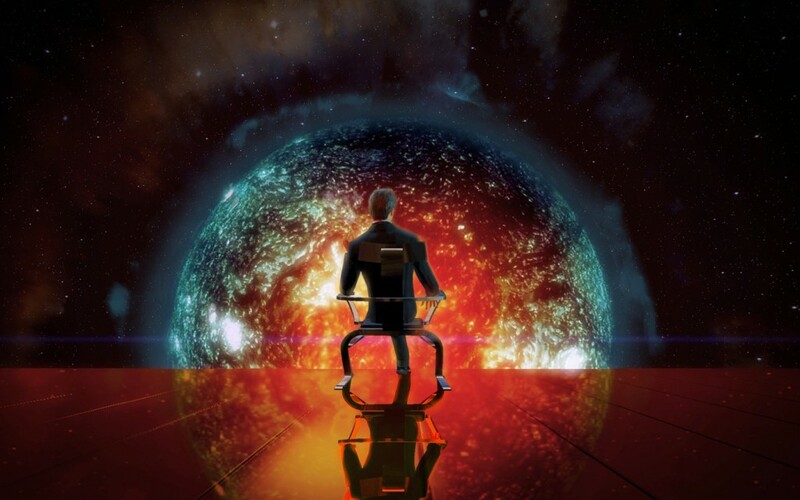 I picked up Mass Effect 1 not long after launch, I put about 16 hours into it but I just found the whole experience a struggle, the game was tedious, the interface was complicated and cumbersome and the combat felt broken to me. I spoke to numerous people about my issues with it and they all said “get to Mass Effect 2, it fixes all of the issues”, and to be blunt, they were right, 2 and 3 were joys to run through. The first game I finished in 16 hours, a rushed main mission only run, the second game was finished after 47 hours, quite a leap in quality and the amount I wanted to invest in it. I first played Metal Gear Solid back in the late 90’s on my Playstation, it was a fun game that I ran through a few times getting the different gear like the Tuxedo and Bandana, I didn’t have a PS2 for many years so going back to MGS 2 or 3 never really appealed to me, but when the HD versions appeared on Vita I snapped them up. As I knew from references that the story was crazy and connected I replayed the first and then worked my way through the highs and lows of the series. Despite not feeling like I had time to play games I still managed to set myself a goal, I finished all games in both series. I am now interested in the future iterations being released and, dare I say it, I cared about both stories the games had to tell. This year’s goals are to finish two Final Fantasy games and as many Zelda titles as I can. I have other games to play and enjoy as well, but by just picking a series I know are rated highly by others I can be relatively confident that I’m not only expanding my knowledge but also dipping my toes into franchises that others may call ‘classics’. I’ve already finished Ocarina of Time and am about 18 hours into Final Fantasy X so I’m confident in my own ability to finish a chunk of these series. I completed Uncharted on the Vita not too long ago, whilst having a look through the Trophies attached I saw the rarity ratings I mentioned before. I went straight to the “Complete the game on Normal difficulty” achievement, something which the average person would go for in terms of difficulty, 49% of players had it. Less than half of people who started Uncharted on the Vita finished it, perhaps they did it on Easy difficulty instead, nope, 53%. 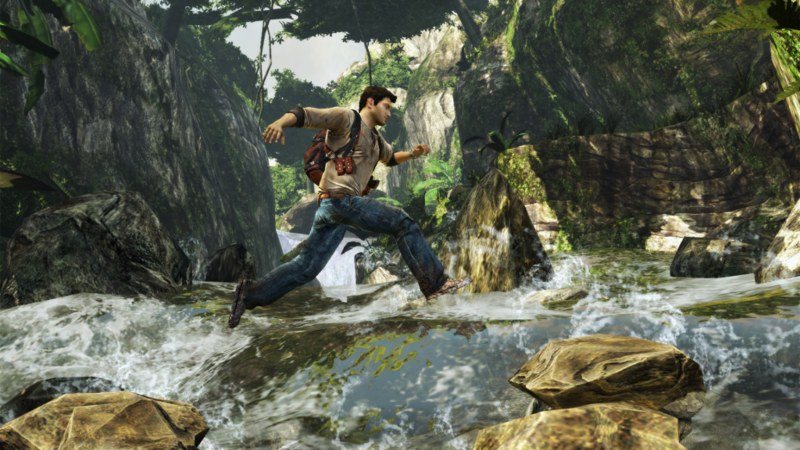 Which ever way you cut it, one of the flagship, most popular games on the Vita, that rated highly and part of the figurehead Nathan Drake’s Uncharted franchise, Sony’s posterboy on their latest handheld, only half of the players finished the game. The real question is why are we at this point in gaming where people are, in a way, happy not to finish a game. Is it because better games coming out? Is it because we don’t always like them? Is marketing to blame? Back in the 80’s and 90’s people finished games even if they were rubbish, this most likely is down to funding. Most gamers today were young in the first couple of generations of consoles, games were expensive and there wasn’t the disposable income like there is today. You had to justify your purchases. Sure Castlevania II isn’t a good game, but hell, you’ll play it until your fingers bled as it cost you your Christmas and Birthday present together. One issue in the modern era is that we have choice, every week sees numerous games being released, and that’s at retail, you also have to consider the fact that Indie and handheld gaming are serious contenders. Just sit and think for a moment about your Steam library, how many of those have you even installed? Let alone played or heaven forbid completed. 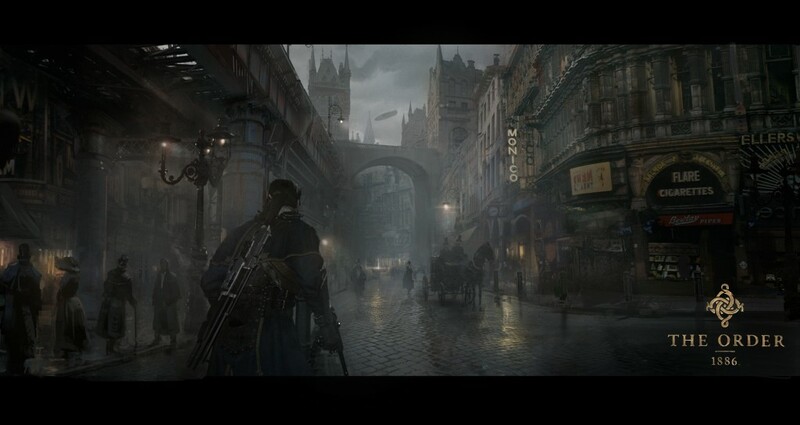 With bigger budgets for the games industry the scope of games increased as well. People aren’t happy with 5 hour campaigns any more, the uproar around the recent release of 6 hours of The Order on Ps4 show that people want value for their money. But, if the gamers aren’t going to finish it any way, should they be complaining? 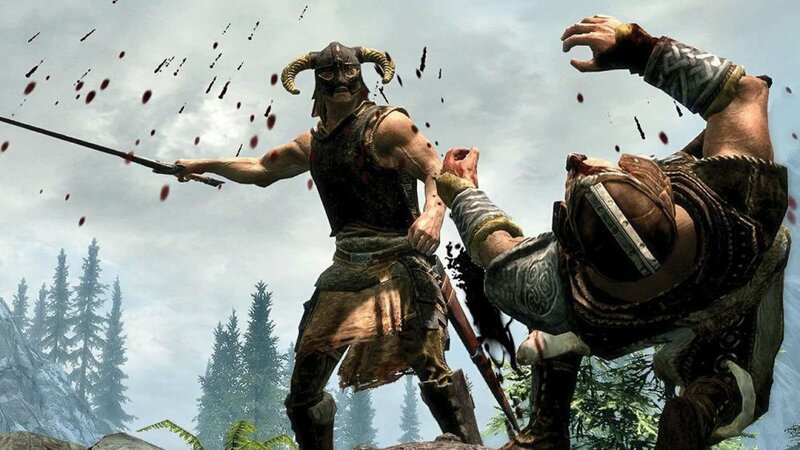 I wrote a piece a while ago about how games are too long now, the Skyrim’s of the world are asking too much of me and my time, they became a second job. I am now expected to do all side missions to ‘get’ the game or unlock abilities that are required to finish. A quick look at Ubisoft’s latest screw-up, Assassin’s Creed, shows that too much appearing on the world map is a bad thing, players look at that and question what the game wants from them. The question really should be “what is completing a game now?”. The obvious answer is, you finish the main story, but with side missions and other distractions, multiplayer and DLC, where do we draw the line? Should we just say “did you see the credits?”. An Easter egg ending for Far Cry 4 meant you could see the credits after 15 minutes. With DLC often continuing the story on for these games it’s getting harder and harder to define where the developers class the end of their own game, especially in this open world obsessed generation. It all boils down to how much you value your time and how much you need to validate your purchases. You might have played Sunset Overdrive for 6 hours and stopped, and that’s ok, it’s your choice, if you think 6 hours of play time in that world bouncing and grinding justified your £30 then that’s awesome. We also need to remember not everyone has the same requirements from a game, we all know people who only pick up two games a year and play an hour a week over 6 months and finish a game, their justification of value and value of their time is different. 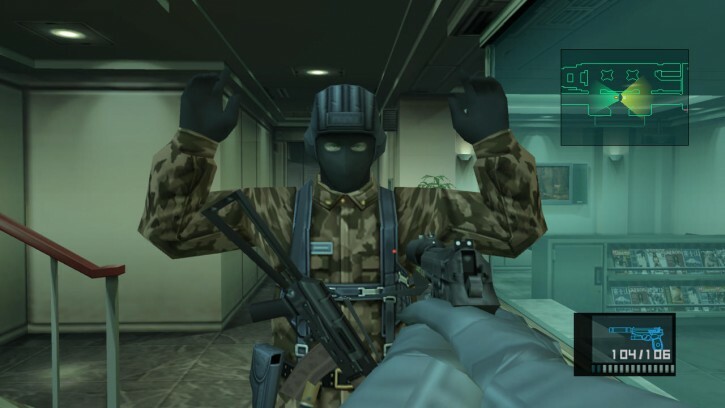 This is the fine line developers need to tread, they need to find that balance between short enough for people to finish, but enough value for their money, some get it right, Grand Theft Auto, and some get it wrong, Call of Duty single player. To an extent gamers are spoilt more now than ever before. Not only do we have the money, the choice and pretty graphics, we also have heavier marketing, more emphasis on DLC not letting the train stop and multiplayer being a focus for most games. Like an untrustworthy partner our eyes are always being drawn by the next pretty thing coming along. We also have never had it easier to buy games, digitally we have Steam and online services on all consoles, but also we can order physical from numerous online stores for not much money. With all this in mind it seems we could be at a point where we need to change the rules, we need developers to either know where their games end or we need to accept that the pile of shame is now a pile of fact. Plus, let’s be honest, who reads the credits anyway? Regarding Mass Effect, I realise you are mostly a console gamer but I actually found the PC release of Mass Effect 1 fixed a *lot* of the issues with control and UI, which I agree were cumbersome. I enjoyed the combat and general game even on the 360, so we may differ there, but I kept feeling the UI and controls were getting in the way, rather than helping me immerse myself. Not so with the PC release. Mass Effect 2 was still another step up from the ME1 PC release though. With regards to finishing games or not – Do you think that kids today are now less inclined to finish even the main story of a game than we were as kids? Back when I was younger I had a *lot* more free time, and a lot less money. My parents weren’t gamers (hell, most people’s parents weren’t), and didn’t see it as ‘worthwhile’, so I had to spend my own hard earned cash on games. That meant I had to make them last, and I was very discerning about what I dropped my cash on because I knew it had to keep my interest for a good while. I’ve completed a number of sub-par games because I made a bad call and then couldn’t afford anything to replace it for a month or two. These days, I have less free time and more money. So i’ll often take a chance on a £10-15 game and if I don’t like it I won’t push to complete it; i’ll just ditch it, money a little bit down the drain, and look to something else. I also haven’t quite got out of the habit of buying all the games that I wanted to play as a kid and didn’t have the cash for, so I have more games that I really enjoy playing than I have the time to complete. Thus even games I really like will sit unfinished, especially if I can’t play them for long sessions (Looking at you, Alien: Isolation). I think now that *parents* are gamers the limited cash thing is less of an issue. Kids still don’t have the cash to buy all the games they want, but Mum and Dad probably have a good number of games *they* want to play, and when they *aren’t* playing, well, knock yourself out (as long as it’s age-appropriate). And there are so many games lying around due to that that even with all the free time kids have they can’t complete them all (Especially if they’re not allowed to spend *all* their free time in front of the screen, which i think would be bad even though it was what I attempted as a child).